Designed for MPVs, compact and sports cars as a replacement for the ContiSportContact 5 and ContiPremiumContact 5, the ContinentalPremiumContact 6 combines sporty handling and safety with high mileage performance. Sportiness. Precise steering response and additional grip when cornering thanks to the shoulder design and asymmetrical tread rib geometry to transfer lateral forces. Safety. The tread compound features synthetic silica to shorten braking distances on wet roads, resulting in an A-rating on the EU tyre label. Tyre life. The tyre can cover 15% more miles compared to the ContiSportContact 5 and ContiPremiumContact 5 thanks to an active polymer in the tread compound that offers a higher resistance to wear. 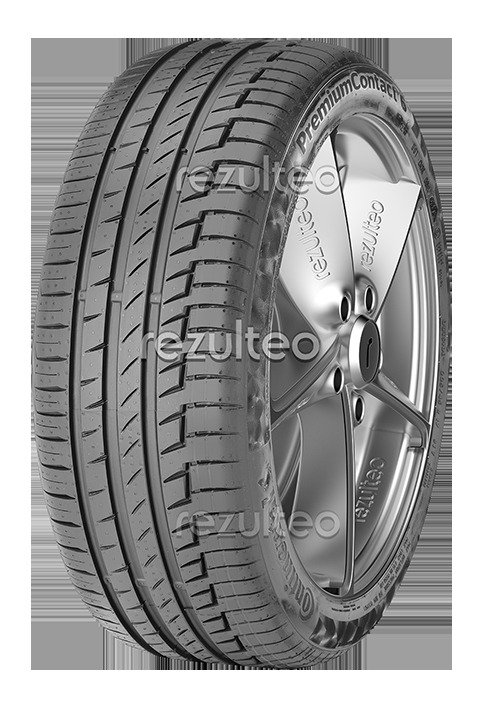 Safe tyre for compact and high performance cars. Good handling and grip when cornering.